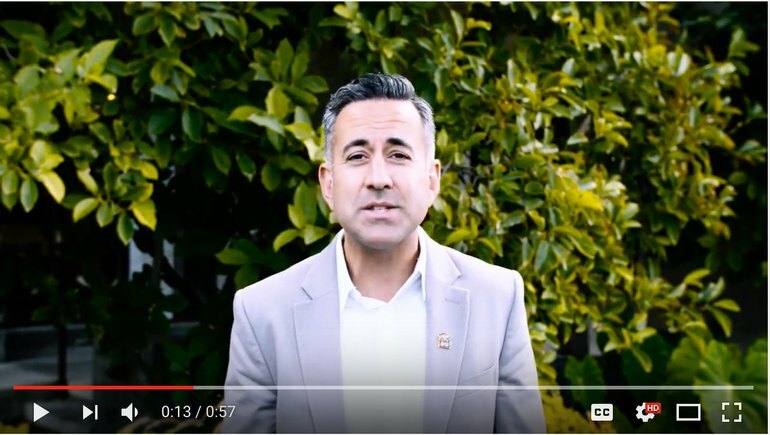 Thank you Mayor Basran for you support of The Gratitude Project! If you’re considering taking part in Gratitude Month in Kelowna, there’s plenty of local events to attend throughout the entire month of October, or you can just practice gratitude from home. To start off the month, Third Space Coffee will be hosting Cup of Gratitude all day Oct. 3. Customers can enjoy 10 per cent off everything as the cafe says thanks to the community. Over the Thanksgiving weekend, you can take part in the BMO Okanagan Marathon Family Festival, where Gratitude Month participants will have a station for pumpkin painting, a gratitude wall and other activities. 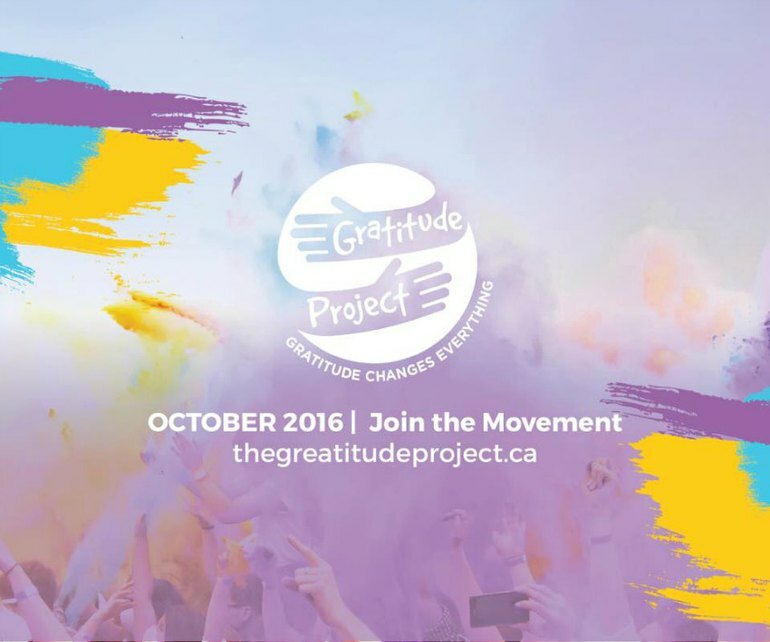 On Oct. 13, you can check out a free event focused on gratitude and happiness at the Rotary Centre for the Arts. A panel of UBC Social Work and Psychology Professors will discuss and answer audience questions on various aspects of gratitude from 7-8:30 p.m.
Cheryl M Coach will host an event in Landmark 6, called Cultivating Joy with the Practice of Gratitude on Oct. 17. From 7-9 p.m., you can take part in group coaching on how to increase your joy and develop your own personal gratitude practise. If you want to give back, My Gratitude Experience Poetry Event, hosted by Inspired Word Cafe, will take place at The Kelowna Community Food Bank. To get in, you just have to give a $5 or a bag of food. The IWC team will treat guests to a night of poetry, music and talks on the topic. For a fun challenge, Global Fitness is putting on The Gratitude Games. Since the focus of this year’s gratitude month is the RCMP, participants will for through the RCMP’s physical challenge called the PARE (Physical Abilities Requirement Evaluation). You can sign up as an individual or as a team and people with the fastest times will have the chance to win gym memberships. Take in a re-worked performance of Romeo and Juliet on Oct. 27 for only $2 at the Rotary Centre for the Arts. Put on by the TIER Support Services Drama Club, the event will spotlight employment for those with disabilities. Finishing off Gratitude Month, UBCO will host a healthy breakfast with the chance to reflect on gratitude and kick off Thrive Week at the school. If you’re a little more low key, you can just get involved by following along with the Gratitude Guide. If you aren't sure where to start there are many great resources online to help us bring gratitude into each day. In his article, "Six Habits of Highly Grateful People", Jeremy Adam Smith offers several key habits to kick start your gratitude practice. 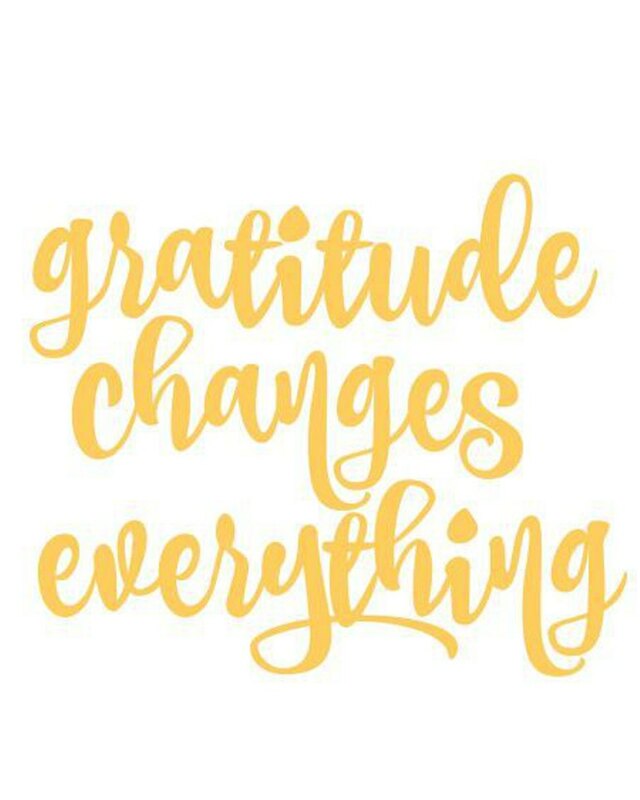 "Gratitude (and its sibling, appreciation) is the mental tool we use to remind ourselves of the good stuff. It’s a lens that helps us to see the things that don’t make it onto our lists of problems to be solved. It’s a spotlight that we shine on the people who give us the good things in life. It’s a bright red paintbrush we apply to otherwise-invisible blessings, like clean streets or health or enough food to eat. That’s when I need to turn on the gratitude. If I do that enough, suggests the psychological research, gratitude might just become a habit. What will that mean for me? It means, says the research, that I increase my chances of psychologically surviving hard times, that I stand a chance to be happier in the good times. I’m not ignoring the threats; I’m appreciating the resources and people that might help me face those threats."